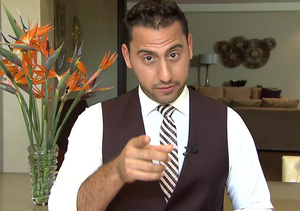 Fans of Bravo’s hot “Million Dollar Listing Los Angeles,” watched Josh Altman and Heather Bilyeu fall in love and even argue over wedding plans on TV. After planning and postponing their wedding, the couple finally said “I do” on April 2 and went straight to “Extra’s” Charissa Thompson to dish all about it in their first interview as husband and wife. See how the couple is adjusting to married life when “Million Dollar Listing Los Angeles” returns in the fall, and check out Heather’s wedding bling here!